Watermelon and grapes on the table next to the stove. 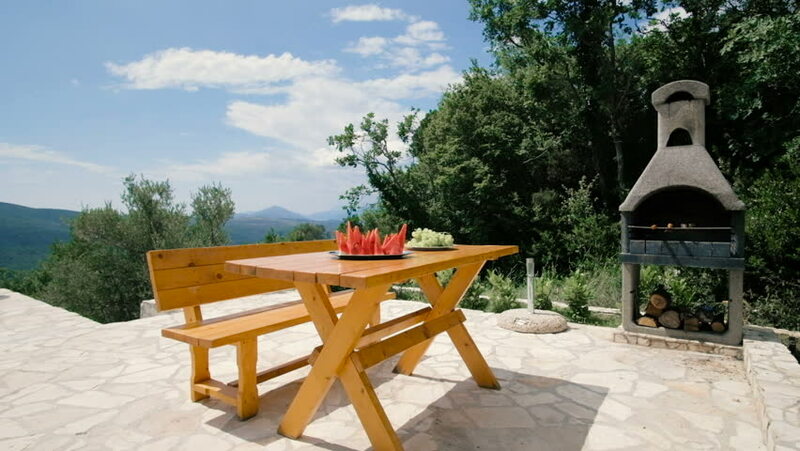 Summer terrace with mountain views. hd00:24Wooden table in a restaurant. 4k00:10Drone over Paxi island coastline and cliffs, Greece.